On January 11th, Eastside Distilling, Inc., a Nevada corporation (“Eastside”), Craft Acquisition Co LLC, an Oregon limited liability company and wholly owned subsidiary of Eastside (“Sub”), Craft Canning LLC, an Oregon limited liability company (“Craft”), Owen Lingley, as Equityholder Representative, and the holders of the Craft Interests (as defined below) party thereto entered into an Agreement and Plan of Merger (the “Merger Agreement”). On the terms and subject to the conditions set forth in the Merger Agreement and the Limited Liability Company Act of the State of Oregon, Craft merged with and into Sub (the “Merger”), with Sub continuing as the surviving company in the Merger and as a wholly owned subsidiary of Eastside. Sub changed its name to Craft Canning + Bottling, LLC. The Merger Agreement and Merger was unanimously approved by the Board of Directors of Eastside, the members and manager of Craft, and the sole member of Sub. Subject to the terms and conditions of the Merger Agreement, Eastside acquired Craft for total consideration of approximately $5,200,000, subject to certain post-closing adjustments as described in the Merger Agreement (the “Merger Consideration”). The Merger Agreement provides that the Merger Consideration will be payable to each holder of membership interests of Craft (the “Craft Interests”) as a mix of cash, promissory notes and unregistered shares of common stock of Eastside (the “Consideration Shares”); provided that 60% of the Merger Consideration will be allocated between cash and notes, and 40% shall be allocated to the Consideration Shares and provided further, that any holder of Craft Interests who is not an “accredited investor,” as such term is defined in Section 501(a) of Regulation D promulgated under the Securities Act will not receive any Consideration Shares. The cash portion of the Merger Consideration was $2,000,000 and the three-year note was $800,000. The Consideration Shares to consist of 338,212 shares of common stock of Eastside. Holders of the Consideration Shares have agreed to a one-year lock-up restricting the sale of the Consideration Shares. Eastside has granted the holders of Consideration Shares “piggyback” registration rights effective after the one-year lock-up. In connection with the Merger, founder Owen Lingley has accepted an employment offer to become Executive Chairman of Craft Canning + Bottling, LLC. In connection with Mr. Lingley’s employment, Eastside has agreed to issue to Mr. Lingley a warrant to purchase 146,262 shares of common stock of Eastside at $7.80 per share and an exercise period of three years. 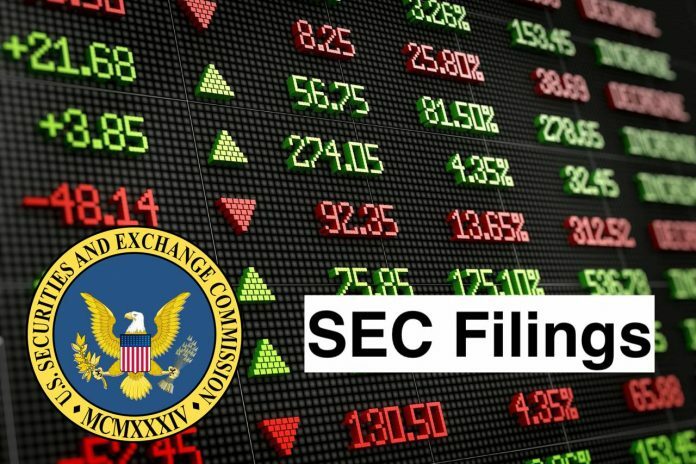 The shares of common stock issuable upon exercise of the warrant will be subject to the same “piggyback” registration rights as the Consideration Shares described in the foregoing paragraph. The Merger Agreement additionally provides that in the event that Craft’s EBITDA (as defined in the Merger Agreement) for fiscal year 2019 is less than $1,000,000 (such shortfall, the “EBITDA Adjustment”), the principal amounts on notes payable to former holders of Craft Interests will be reduced on a pro rata basis in an aggregate amount equal to the EBITDA Adjustment. The Merger Agreement contains representations, warranties, and covenants by the parties that are customary for a transaction of this nature. The Merger Agreement is attached hereto as an Exhibit 2.1 and is incorporated herein by reference. The foregoing description of the Merger Agreement has been included to provide investors with information regarding its terms and is qualified in its entirety by reference to the full text of the Merger Agreement. It is not intended to provide any other factual information about Eastside or Craft. The Merger Agreement contains representations and warranties by each of the parties to the Merger Agreement, which were made only for purposes of the Merger Agreement and as of specified dates. The representations, warranties and covenants in the Merger Agreement were the product of negotiations among the parties and made solely for the benefit of the parties to the Merger Agreement; may be subject to limitations agreed upon by the contracting parties, including being qualified by confidential disclosures made for the purposes of allocating contractual risk between the parties to the Merger Agreement instead of establishing these matters as facts; and may be subject to standards of materiality applicable to the contracting parties that differ from those applicable to investors. Investors should not rely on the representations, warranties and covenants or any descriptions thereof as characterizations of the actual state of facts or condition of Eastside, Craft or any of their respective subsidiaries or affiliates. Moreover, information concerning the subject matter of the representations, warranties and covenants may change after the date of the Merger Agreement, which subsequent information may or may not be fully reflected in Eastside’s public disclosures. The parties considered the Merger closed on January 11, 2019. The information set forth above under Item 1.01 regarding the acquisition of Craft is hereby incorporated by reference into this Item 2.01. The information set forth above under Item 1.01 regarding the issuance of common stock of Eastside is hereby incorporated by reference into this Item 3.02. On January 14, 2019, Eastside issued a press release announcing the Merger. A copy of the press release is filed hereto as Exhibit 99.1 and is incorporated herein by reference. Eastside intends to file historical financial information required by this Item 9.01(a) under the cover of an amendment to this Current Report on Form 8-K no later than 71 calendar days after the date on which this Form 8-K was required to be filed. Eastside intends to file pro forma financial information required by this Item 9.01(b) under the cover of an amendment to this Current Report on Form 8-K no later than 71 calendar days after the date on which this Form 8-K was required to be filed. * Schedules have been omitted to Item 601(b)(2) of Regulation S-K. We hereby undertake to supplementally provide copies of any omitted schedules to the Securities and Exchange Commission upon request. Eastside Distilling, Inc. (Eastside) is a manufacturer, developer, producer and marketer of master-crafted spirits. The Company’s beverage alcohol categories include bourbon, whiskey, rum and vodka. The Company operates through the marketing and distributing of hand-crafted spirits segment. Its brands include Burnside Bourbon, Burnside Oregon Oaked Bourbon, Barrel Hitch American Whiskey, Barrel Hitch Oregon Oak American Whiskey, Below Deck Silver Rum, Below Deck Ginger Rum, Below Deck Coffee Rum, Below Deck Spiced Rum, Portland Potato Vodka, Marionberry Whiskey and Cherry Bomb Whiskey. Eastside creates seasonal and limited edition handmade products, such as Advocaat (eggnog) Liqueur, Peppermint Bark Liqueur, Bier Schnapps and Holiday Spiced Liqueur. Eastside distributes its products in approximately 15 states, including Oregon, Washington, Nevada, Texas, Virginia, Indiana, Illinois, New York, New Jersey, Massachusetts, Connecticut, Minnesota, Georgia, Pennsylvania and Maryland.